Many of us are acquainted with the meaning of harmony in music. But it is important to understand what “harmony” really means because it affects all aspects of our life, our relationship with others, with the whole universe, with Heaven and with God. In music, we know that harmony corresponds to a combination of musical tones (frequencies), blended into chords (three or more notes) that sounds pleasing to the human ear. Hence, in music, a symphony is a combination of notes or elements that are harmonically combined as a whole. But what makes a symphony harmonious? Its parts must be sufficiently different from the whole to produce contrast, while they must be sufficiently similar to the whole to maintain the order of the whole. In fact, during some segments of the symphony, consonance seems to degenerate into dissonance. And it is these dark moments of the symphony that make it dramatic, interesting and meaningful. But this dissonance or disorder is eventually resolved in consonance. It is the same process that makes a work of art graceful and meaningful. 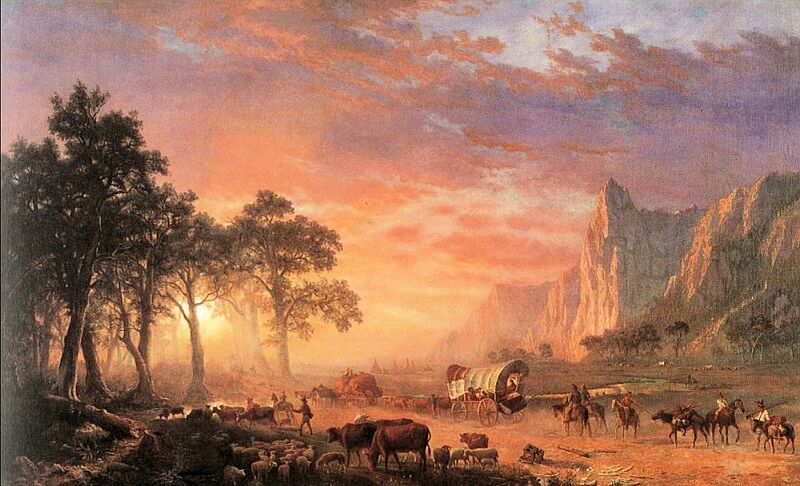 For example, a painting consists of many different forms and colors. But these forms and colors must be sufficiently similar to the whole painting to produce beauty. In fact, harmony and beauty are synonymous. A painting that consists either of complete disorder or complete order cannot be considered interesting, meaningful or beautiful. A story or play that consists of random and disjointed acts or events would be annoying to experience. A novel that is completely ordered and predictable is equally monotonous and boring. But a work that is able to “artfully” combine order (similarity) and disorder (difference) into one whole harmony is a beautiful work of art. Now, how does all this relate to us, the universe and God? We have already established that God’s substance or Divine Love is an infinite complexity organized “HARMONICALLY.” And this harmonious organization is Wisdom or Truth. Therefore, Divine Love is an e-motion that consists of an infinity of emotions organized harmonically. And Divine Wisdom is an Idea that consists of an infinity of ideas organized harmonically. In the Bible, this Divine Idea is called “The Word of God.” This Idea or “Word” is what gives purpose and meaning to every thing in creation. Every being is purposeful because it is a free expression of Love and it is meaningful because it is harmonically interconnected with everything else. And, since the universe was generated from Divine Love, all the harmony, beauty, intelligence and love that we may experience in the universe is an image of God. The universe is also a work of art because it consists of self-similar images of God that are sufficiently different and free to produce contrast. But they are sufficiently interconnected to produce an organization or order. in fact, when we contemplate nature, we discover that all things are growing, involving, evolving and transforming like fractals. The earthly landscape of mountains, hills, valleys, oceans, rivers, lakes, beaches and coastlines is a beautiful work of art produced over long periods of involution and evolution in time. Plants, trees and flowers grow like fractals. The form and branches of a tree are a picture of its growth or evolution as it has adapted to its uncertain environment. Reptiles, birds and animals have also evolved different forms by adapting to the climate and characteristics of their particular environments. This is why some species are less graceful than others. Like in a work of art, there are also dramatic or chaotic events in the history of the universe. For example, the history of humanity consists of periods of conflict and war as well ages of relative order, peace and harmony. During this long history, many civilizations and religions have arisen, thrived and degenerated. But, if the universe is a work of art and God (Divine Love) is continually restoring the universe, we know that any disorder will eventually be resolved in a universal state of harmony. In the Bible, this state is called the Kingdom of Harmony or Heaven. In Heaven, every angel is a self-similar image of Heaven. And all angels are interconnected in the harmony of Love, Wisdom and Use. In this harmony, every angel is a unique and separate affection and yet all these affections are in harmonic accord with Divine Love. 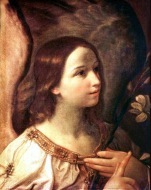 The form of every angel is also a unique expression of Truth but all these different forms are in harmonic accord with Divine Wisdom or the Divine Human form of Heaven.